A simulated Flame System to invoke the feeling of Fire, without the actual fire itself. Using water misting techniques, this effect creates “flame” Heights up to 3 feet, and the ability to change to a myriad of colors, these flame effects work well for clubs, concerts, and other dramatic productions where the use of fire is prohibited, in addition to a fire show, or as a standalone scenic ambiance. Contact us for more info on how to get these at your next big thing. to join this diverse group of fire artists of various disciplines for upcoming performance opportunities. There’s no commitment, and signup is fast and free. 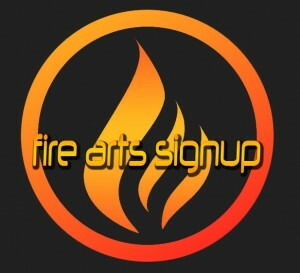 Welcome to Firetalent.com. Our goal: Provide the client with that perfect fire show for each unique event, and to represent talented and professional fire artists worldwide. From luaus to corporate training seminars, from grand openings to bar /bat mitzvahs, from the movie screen to your back yard party. Our ever-expanding roster of fire breathers, fire eaters, fire dancers, fire performers, and other fire entertainers stretches across the USA, and are available internationally.